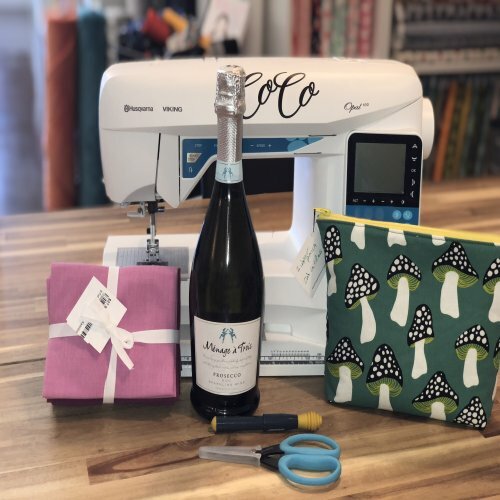 Sew Together News - Classes for all skill levels! This is a great project if you are just learning to sew or if you are coming back to sewing after an absence. Learn how to construct the bag by boxing the corners to give it dimension. We would love to have you join us March 30th from 11-1. You've learned to sew a straight line and are ready for a new challenge. This is the class for you or for anyone wanting to learn a new project. 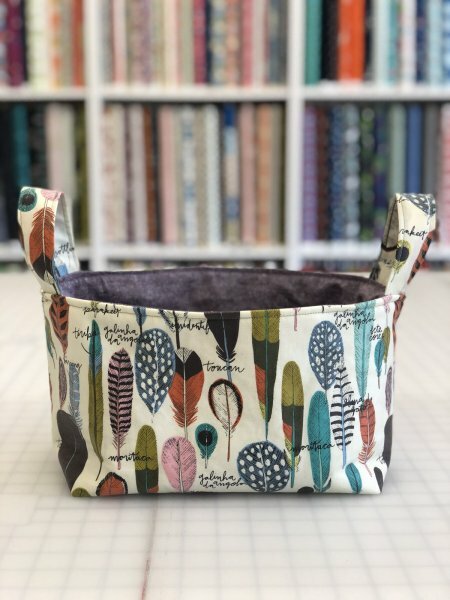 We will work with fusible fleece and boxing corners to make this fun and functional basket. Most who take it go on to make several more as gifts! We hope to see you in class on April 6th from 11-1. It may be hard to tell from the photo above, but this is a great dress! So easy to dress up or down with accessories and shoes. 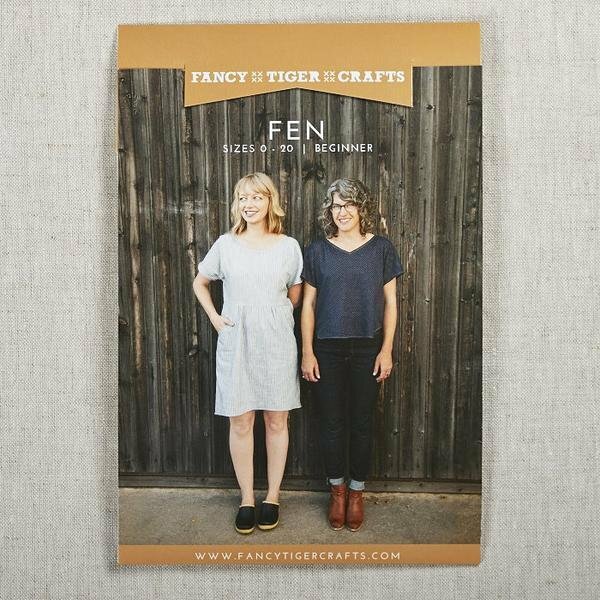 If you need more proof, go Google "Fen Dress" then click on images to see dozens of great dresses that will inspire you to make your own. 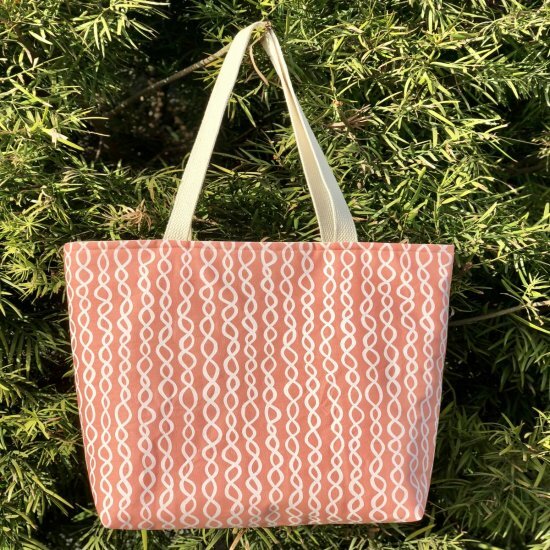 This is a beginner friendly project if you've got a few projects under your belt. Hope to see you April 27th from 11-4 for this fun and wearable dress! Sew Sunday is a HIT! Our Sunday Sew-Ins have been a big hit and are filling up quickly so don't miss out on a fun time with food, fun, friends and drinks. Our next one is April 7th from 12:30-4:30. Cost is $25 and we give you $25 credit to spend in the shop that day and you also receive 20% of your entire purchase that day. Sign up here.